My favorite girl scout cookies are Samoas quickly followed by thin mints. 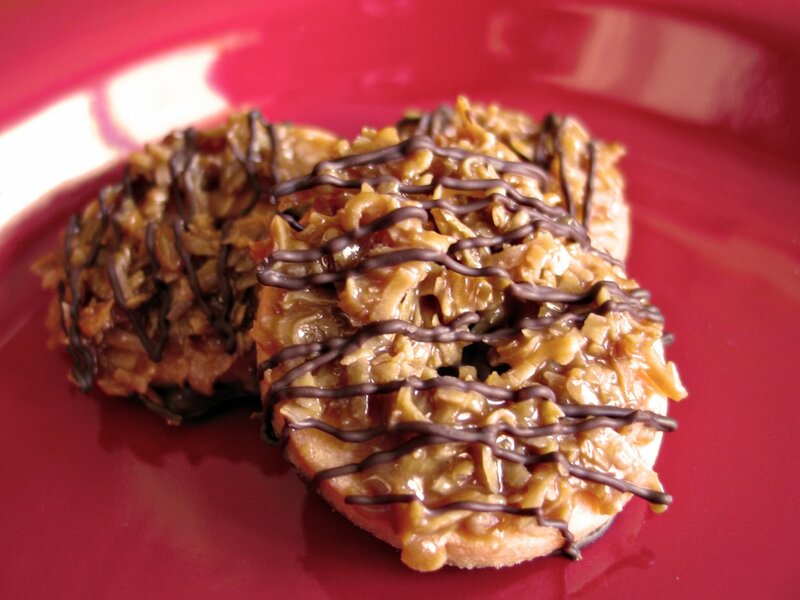 So I was pretty excited when I came across a Samoa-like recipe on Jessica C.’s blog. Apparently Baking Bits (another blogger) came up with Caramel de-Lites which are just as good, if not better than the real deal. I decided to make my cookies with some food coloring to make the base cookies orange for Halloween. I also used a chap stick lid to cut the hole in the middle instead of a straw to look more authentic. They were delicious and we made sure to hand them out to friends before we could gobble them down ourselves.